People have formed co-operatives or collectively-run businesses for a variety of reasons. To create or save jobs. To get food at lower prices. But apart from limited aims such as these, where the validity of co-ops is not in question, co-ops have sometimes also been advocated as part of a more far-reaching strategy for fundamentally changing society in the direction of workers’ control and a freer and more humane social set-up. Co-ops as the road to self-emancipation. Leonard Krimmerman, in a recent issue of Social Anarchism, where he discusses his experiences at a Connecticutt workers’ co-op, provides us with an illustration of this viewpoint. The co-op in question was lntemational Poultry, originally organized to provide jobs for a group of workers rendered jobless by the closing of a poultry processing plant. Says Krimmerman: “My initial hope . . . in joining IP was to help create an anarchist [i.e. self-managed] workplace, and then a network of such workplaces, and from there to begin once again to launch the entire social revolution. ” The working assumption here is that the “self~managed” business can embody on a small scale the ideal of a society without the boss/worker hierarchy, a stateless self-managed society where production is motivated by the people’s collective benefit instead of profits for a few. Otherwise, why would one see co-ops as the building blocks of libertarian socialism? The idea is that the collectively- run enterprises represent a kind of embryonic self-managed society outside the profit-driven capitalist framework. capitalist order, until it finally embraced the whole society, with the workers running everything. Several hundred workers’ collectives were set up. But within a decade only 20 were left. Proudon’s scheme was a fiasco. Proudhon’s day, when most people were self- employed and capitalist enterprises were just small shops operated under the watchful eye of the owner, the implications of this may not have been so obvious. Today however, the globe-straddling mega-corporations dominate the world economy, with immense resources, governments at their beck and call, ﬂexibility from their ability to move anywhere and operate at the same time in any number of industries, and solid contacts with powerful ﬁnancial, manufacturing and distribution networks. Working neonle can’t defeat them with co-operatives, operating on capital’s own turf, the marketplace. The power that working people have to defeat the ernloying class lies elsewhere. competition. What this means is that co-ops will find that they have to do the same things that more conventinally-structured capitalist businesses are doing in order to survive. The terms of their survival are set by what the top-down, profit-driven big boys are prepared to do. Krimmerman says that co-ops are of intrinsic value because they “empower” people. But the “control” that people can exercise through a CO-Op is more myth than reality. spend their time, they may soon find themselves scanning the “Help Wanted” columns again. So workers in the co-ops will find themselves “decid-ing” to impose on themselves whatever conditions are imposed by capitalist exploitation. They’ll be “self-managing” their own exploitation. A cog in an economic machine that is subservient to capitalist ends. The system will go on producing the same problems — unemployment, inequality, militarism, meaningless and dangerous jobs, militarism and war, environmental degradation, racism, etc. Hav-ing real power to control our own lives means having the power to change these things. t techno-managerial structure of the present-day ,,s¢|f_manag¢d»| expmitaﬁon a‘ |m¢|-nation“ corporation has been evolved in the course of many industry. To have power over their own destiny. workers would have to unite to control the whole economy. There are many examples of co-ops that have become increasingly indistinguishable from more conventional capitalist enterprises during the course of their history. In 1979 the Environmental Policy Institute in Washington, D. C. published a report on rural electric power co-ops in which they charged that, having lost sight of their “original grassroots functions,” the electric co-ops now behave just like the capitalist power baronies. This includes an appetite for nuclear power. Dairyland Power Co-op — the Wisconsin federation of electric consumer co-ops — has operated its own nuke plant at Genoa, Wisconsin, on the banks of the Mississippi River, for a number of years. The Minnesota and Wisconsin power co-ops were part of a consortium that had attempted to build a large nuclear power plant at Tyrone, Wisconsin, a proposal that was ultimately defeated after a lengthy popular struggle against it in upstate Wisconsin. The midwest power co-ops have also been involved in erecting massive power transmission lines across the midwestern prairies in order to plug into non-union Western coal. The inidwest power companies favor this particular venture in part because they see it as a way of undermining the more militant miners’ labor movement in the Eastem coal fields. Another thing that will tend to integrate co-ops further into capitalism is the fact that their existence as a business will tend to isolate them from other working people. Instead of acting as part of a broader workers’ momvement, co-ops tend to relate primarily to other capitalist institutions — banks, wholesalers, the government, etc. But if co-ops tend to act just the same as corporate capital, how can co-ops embody the ideals of a non-profit self- managed socialist society? Just as co-ops come to act the same as more. conventional capitalist businesses, it sh0uldn’t surprise us if the dynamics of the capitalist economy also facilitates their evolution in the direction of top-down, capitalist-style organization. Krirnmer- man points out that Intemational Poultry found itself forced to give up on face-to-face worker democracy, “discipline” the workforce, and vest all power of hiring and firing in the board of directors. Even then it didn’t survive. And then there is the example of South Bend Lathe, where the workers had to strike the factory that they “owned” because they had no control over shop floor and investment decisions. production, as the most effective vehicle for this expansion. Co-ops will either tend not to expand, in which case they will remain marginal, or else they will tend to degenerate into hierarchical businesses. One way in which this degeneration can happen is by hiring new people as wage-labor, without an equal say in the running of the enterprise. This is possible because the co-op isn’t “owned” by the whole working class but is private property. So long as there exists a class of wage-earners, who must sell chunks of their lives to employers in order to receive their share of the total product created by the community’s labor, there is nothing to prevent workers’ co~ops from exploiting them as wage-slaves. A number of the co-ops that Proudhon helped to organize ended up as collective employers of wage-lab0r..
Sound Plywood about 10% of the workforce in recent years, and nearly a third at Hoquiam Plywood, have been hired as non-members — they cast no votes, get no share in the year-end profits, are assigned the dirtiest, noisiest jobs, and receive lower wages. In short, the re-appearance of relations that reﬂect class oppression. society in the direction of worker power over social and industrial affairs — genuine self-management. “Self-activity” (a.k.a. direct action) is not just anything that working people do. If you spend 40 hours a week cranking out widgets for Mega-bucks Lntemational, that production is in the interests of the employer. “Self-activity” refers to activity that lashes out against hierarchy — which fights capi- tal’s dominion —- in some way. Activity in which we seek our collective benefit. Activity that increases the social and organizational autonomy of the working class. A “slow-down” on the job, a sympathy strike, formation of a rank-and-file group or an independent union self-managed by the ranks, a mass strike meeting independent of the union tops, a struggle for human rights — all of these can be forms of self-activity. The bosses provide the motivation for self-activity. Workers are impelled to fight by the very conditions of our lives as a subordinated, exploited class. The existence of self-activity throughout the history of hierarchical, class-stratified society shows that the class of producers at the base of society are not just easily manipulated objects, but tend to refuse their oppression, to fight against it. The anarchist hope for revolutionary change is based on this tendency. Worker self-activity has power because it is worker activity that keeps the whole flow of goods and information going. Workers are central to everything productive that is done in society because we do these things every day to make a living. Self-determination — i.e. freedom — is the prin- ciple that is implicit in self-activity. Complete emancipation would mean taking over the manage-ment of the whole interlocking production/communi-cations/transportation network, putting it to use for our collective benefit. A central part of libertarian politics is the view that genuine self-management can only be created through the self-emancipation of an independently-organized, self-directed mass of humanity, reaching out for freedom with their own hands. Mobilized “from below” in a grassroots fight to take control of our collective future. How does the working class acquire what it takes for self-emancipation? Self-activity, if we think of it as an historical process, is the way the working class acquires the self-confidence, self-organization, in-dependence and class-consciousness that is needed for self-emancipation. The most basic problem is that the working class does not now have faith in their ability to make fundamental changes in the direction of a freer and more humane social set-up. People won’t seek out sweeping proposals for change if they don’t think they have the power to implement them. People tend to limit their choices to what they think they can hope to win. And what people think they can achieve depends on their sense of power. If “the feeble strength of one” describes your perception of your situation, then you will tend to strive for only what you can get as an individual. Workers who feel isolated won’t base their actions on a faith in working class power. circumstances of their lives. It changes the situation from the powerlessness of atomized individuals to the power of worker solidarity. This is especially true when working class action and solidarity spreads beyond the “normal” channels and unites – and brings into active participation —— ever-larger sec-tions of the working class —— as in the “Solidarity” movement in Poland. Once people become aware that there is this class power available to them, this opens new horizons of possible changes. Ideas of changing the world appear realistic only where people have already broken through their own passivity. That’s why anarcho-syndicalism was right to place so much stress on mass direct action. Workers cannot acquire the self-confidence, independence and sense of collective power needed for self-emancipation from running — or observing — a few co-operatives limping around on the margins of the system. Therein lies the fatal weakness of Krimmerman’s idea of co-ops as a base for revolutionary change. Because their existence as businesses means that they will be dominated by the capitalist market framework, co-ops are not an organizational means for worker struggle against the employing class. They’re not a means to working people having power. From the episodic and isolated struggles of today to self-emancipation and the mass seizure of the economy is a long road. A revolution does not seem just around the comer here in the U. S. But it is quite possible that the path to revolutionary change will not be a gradual, step—by-step process. Revolu-tionary ideas seem most relevant to people during periods marked by abrupt changes in the scope and militancy of struggle — events on the order of the mass sit-down strikes of the 1930s. Major changes in the character of mass self~activity — changes that are generally not within the power of small minorities of revolutionaries to initiate — can create a sense that it is up for grabs how society is organized. control of their struggles with the employing class, and in the process, create more independent and non-hierarchical ways of organizing their self-activity. During the “hot autumn” of 1969 in Italy workers at the Fiat and Alfa-Romeo auto plants created mass assemblies, organizations of face-to- face rank—and—file democracy, outside the framework of the bureaucratic unions. This way of organizing, based on direct self-management of the struggle by the ranks, appeared during the 1970s at high points of struggle in Spain and Portugal as well. carrying the struggle beyond the “normal” chan- nels. The officials who run these unions, with their bureaucratic concern for avoiding risks to their organizations (and their status), will work to contain struggles within the framework of their long- standing relationship with the bosses. 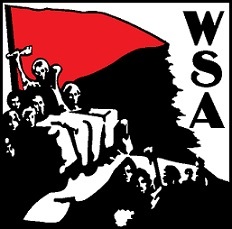 Of central importance to anarcho-syndicalism is the emergence of mass worker organization, independent of all the hierarchies of class-stratified society, where the rank-and-file are able to control their own struggle through on-the-job activism and decision-making by the face-to-face democracy of mass meetings of all the workers. Organization encompassing and focusing the subversive self-activity of worker protest. Anarcho-syndicalism has always been based on the concept of mass worker organization that plays a dual role in history, as independent mass organization motivated by struggles that arise within the capitalist framework, and as the basis for seizing and re-organizing the system of production and distribution. This idea is founded on the recognition that the class struggle under capitalism, and the self-emancipation of the people, are inseparable, just two phases in the same historical process. hierarchy and exploitaition to a newer form, more in step with the changing realities in production and social affairs. This has been as true of the Cuban and Russian revolutions in this century as it was of the French revolution in the 18th century. No social order can come into existence ex nihilo. There must already be a basis for it in the social forces that led to the downfall of the old order. For a revolution to mark the transition to a society of face-to-face libertarian democracy and workers‘ self-management, the stnicture of libertarian self-management must have been foreshadowed and prefigured in the way the masses of the population had organized their stgruggles against the powers- that-be. 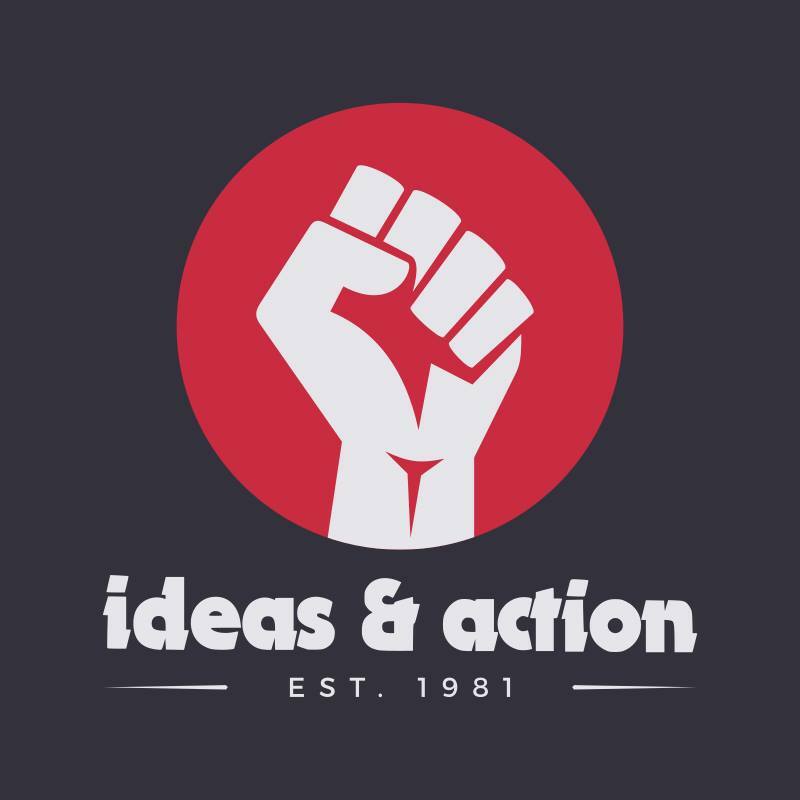 The importance of the non-hierarchical mass workers’ organizations lies in the fact that these organizations contain the premises of a libertarian society, a society without bosses. management of a business — that’s where Proudon-‘ans like Krimmerrnan go wrong. The emergence of mass non~hierarchical workers’ organization is necessary for workers to have the organizational means to play an active and self-directed role in re-organizing society in a freer and more humane direction. When workers begin to take over the workplaces where they work and the places where they live, they have to reach out to others and base the emerging self-managed system on class-wide solidarity. This would mean ignoring the old boundary lines between capitalist fiefdorns in the same industry (to avoid competition between groups of workers), and the development of some sort of organization that would enable all sectors of the workforce to get together to plan out how we’re going to invest our collective resources, what is needed, how it is to be produced and distributed, and so on. Some arrangement of conventions or congresses of the working class — not only at the regional or national level, but at the international level as well, made up of delegates elected to present proposals and ideas decided by the face-to-face democracy of the local worker assemblies. In fact workers would be inclined to do this because it is only through the widespread development of solidarity throughout the working class and a growing tendency of workers to see their personal destiny bound up with the fortunes of the whole class, that workers would gain the power and self-confidence to take over the system of social production and create a self-managed future. The working class can’t be free in isolated, atomized chunks but only through collective, class-wide self-determination. Like the liberals and the marxists, Proudhon failed to realize that worker solidarity could provide the basis for a system of co-ordinating social production based on neither the market nor the State. Just as Proudhon made the mistake of thinking that the capitalist marketplace was neutral turf on which socialism could be constructed (by setting up co-op businesses), his vision of socialism was based on the market also. Proudhon’s idea of socialism is a stateless society made up of worker collectives, each with its privately-owned means of production, competing in a market framework. This is a natural concept of socialism for anyone who accepts the co-op strategy for social change because co-ops relate to others primarily through the relations of buying and selling. If this Proudhonist brand of “market socialism” were to somehow come into existence, it would probably degenerate into a hierarchical, class-stratified set-up. The losers in the market game would be stripped of their means of production by bankruptcy — maybe they made mistakes, didn’t innovate, got too far into debt, etc. Once a class of propertyless people emerge, there would be nothing to keep the remaining co-ops from exploiting them as wage-labor – we’ve already seen this tendency at work in the Northwest plywood co-ops. Workers would not be able to prevent this from happen g without society-wide organization that represents the power of the working class as a whole. Of course it is likely that the revolutionary re-organization of society will be accompanied by violent clashes. It isn’t likely that the David Rockefellers of the world will give up their power voluntarily. I have sometimes heard partisans of the Proudhonist approach argue that the co-op strategy is preferable because it would avoid the violence that would be likely to occur in a revolutionary confrontation between labor and capital. This treats “revolutionary seizure of production” and “peaceful expansion of co-ops” as if they were two equally available options, like a choice between apple cider and grape juice at the local food co-op. True, no one desires violence for its own sake; but, as Ive argued, the Proudhonist approach is not a real alternative since it can’t reach the libertarian goal. MUNICH, West Germany (AP) -— The audience at the Bavarian Slate Opera had the rare experience of see-ing Giuseppc Verdi‘s Aida without a chorus when the singers refused to perform. Minutes before start of the sell-out performance November 26, choir representatives informed the management they would not sing, choosing to support nation-widc union demands for more time off and longer vacations. The opera manager faced a booing audience after he announced the opera would go on without the temple scenc or the famous iriumphal march, and despite Italian conductor Gianfranco Musini’s refusal to make his German dchul under the circumstances.